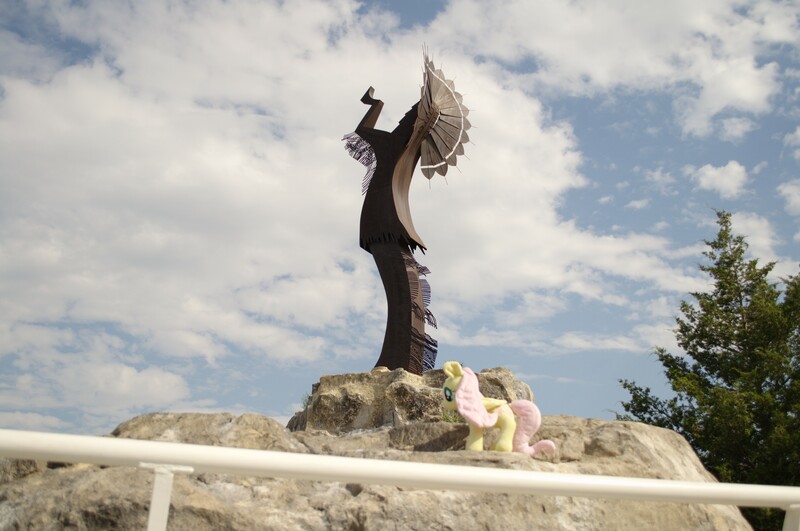 This is my entry to the Ponies Around the World project. 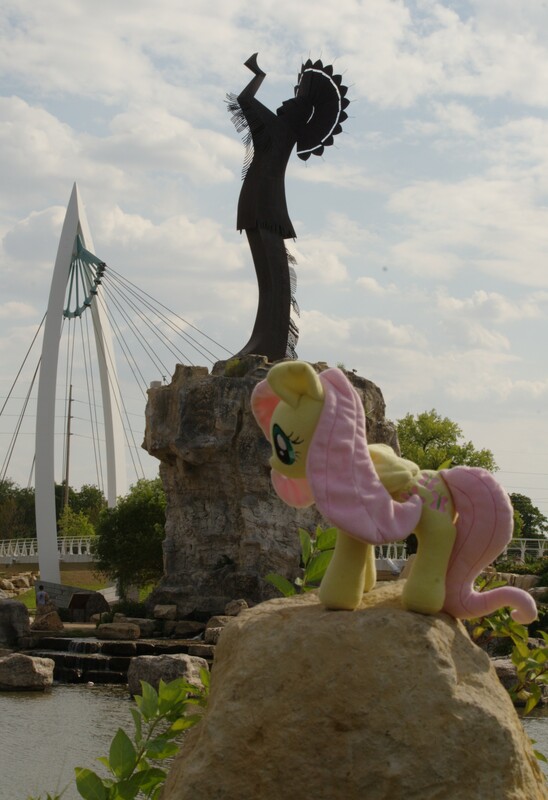 Wichita's most famous landmark is the Keeper of the Plains, at the confluence of the Arkansas and Little Arkansas rivers. 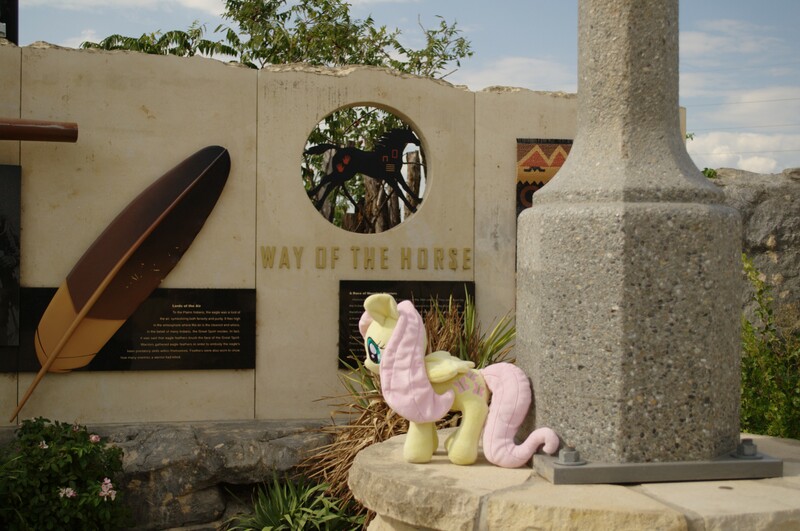 Behind the statue is the Keeper Plaza, with various plaques and artwork detailing the lives of the Plains Indians. Another shot, from across the river.